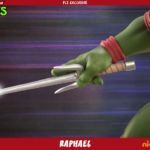 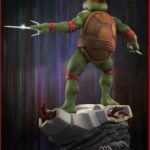 Pop Culture Shock Collectibles posted up the product pages for their upcoming Teenage Mutant Ninja Turtles Raphael 1/4 Scale Statue. 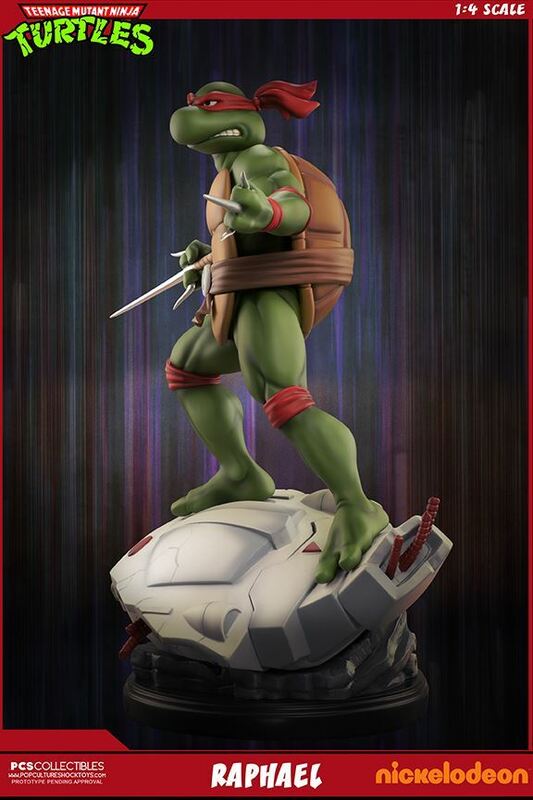 A standard and an exclusive edition will be available. 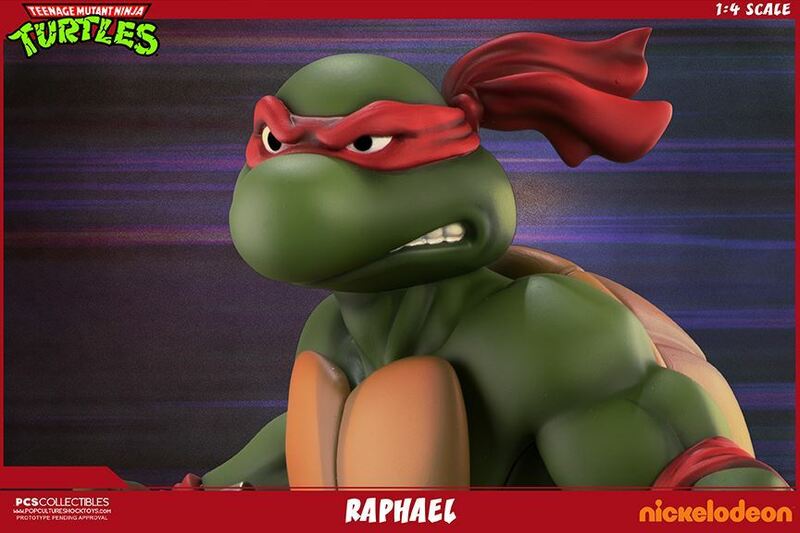 Raphael is based on his classic 80’s cartoon appearance. 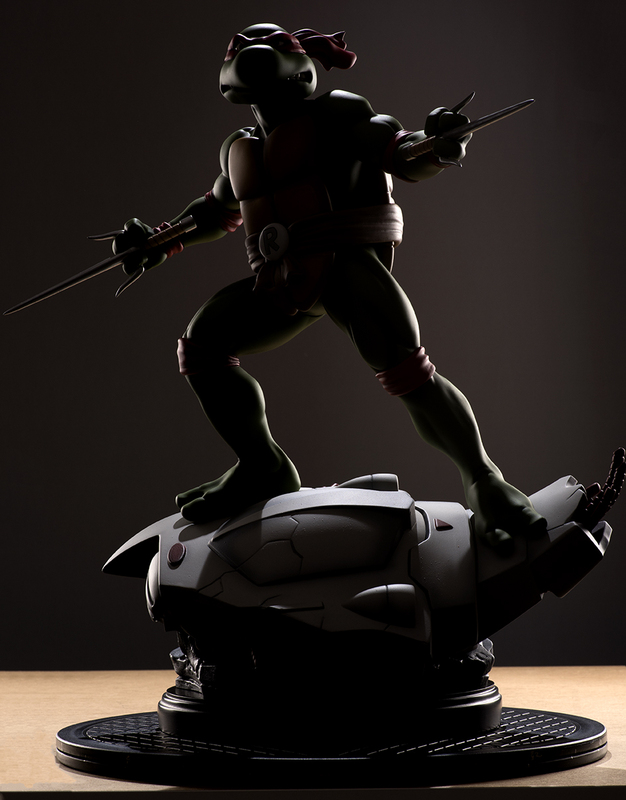 He stands over 21″ tall atop a defeated robot base. 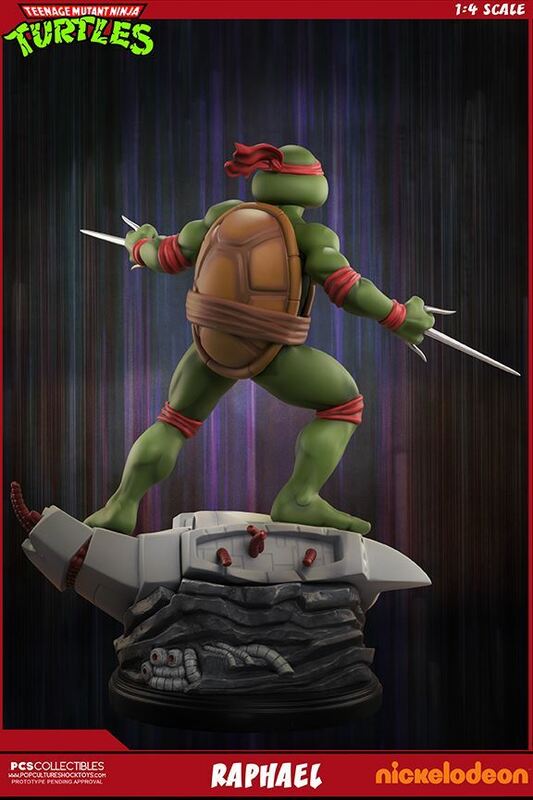 Pre-orders are set to go live at today 3:00 PM Pacific Time. 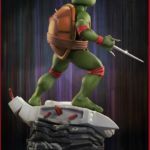 You can see further details and the new photos after the jump. 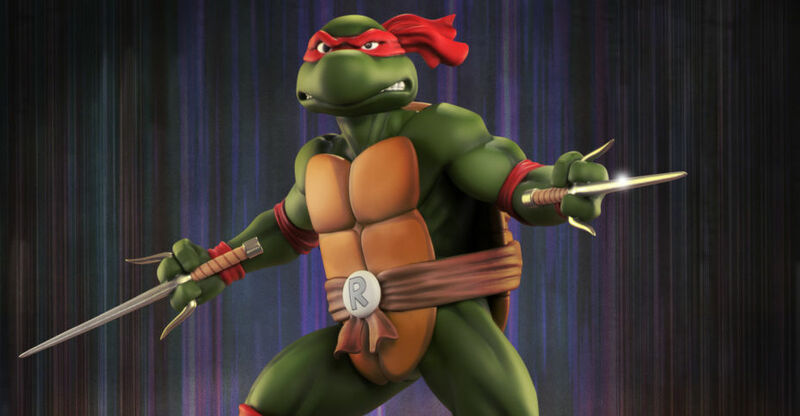 This hothead is also the most opinionated, impulsive, and restless Ninja Turtle! 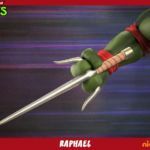 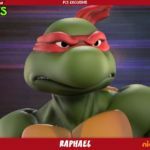 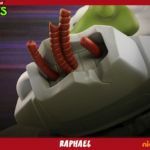 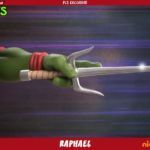 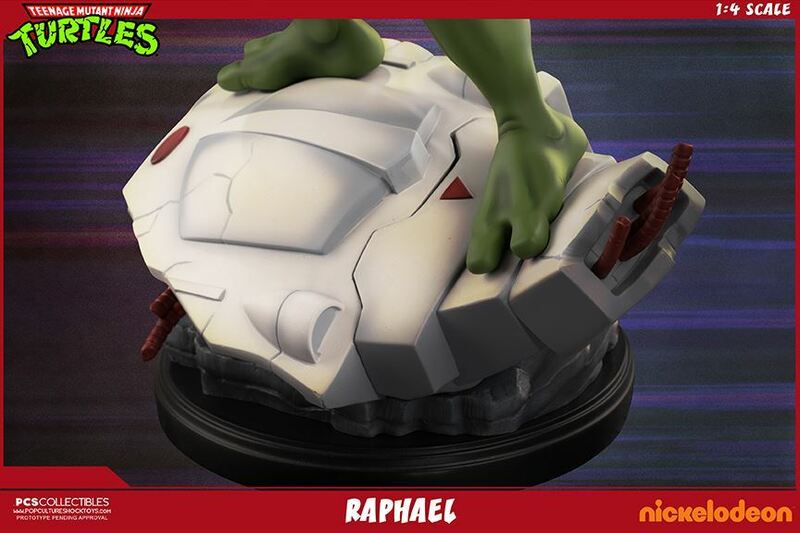 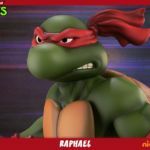 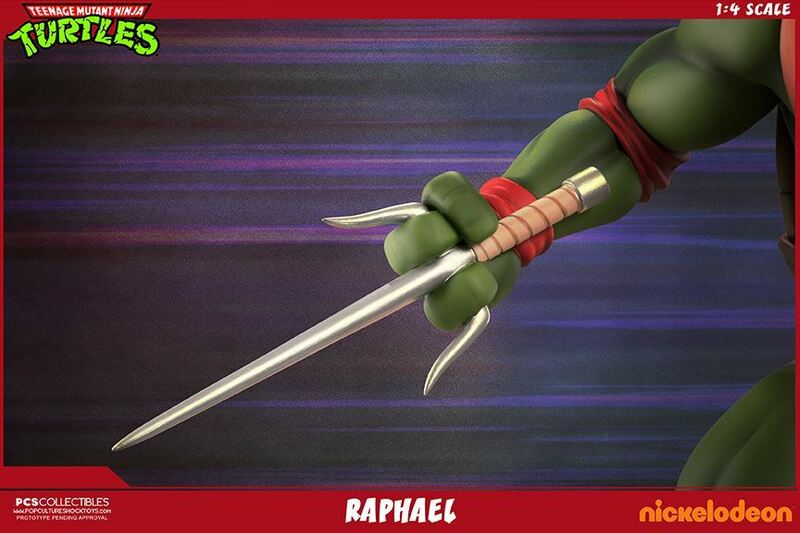 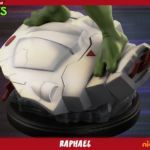 Raphael (Raph) loves nothing more than to test himself in battle, and trains for sheer enjoyment! 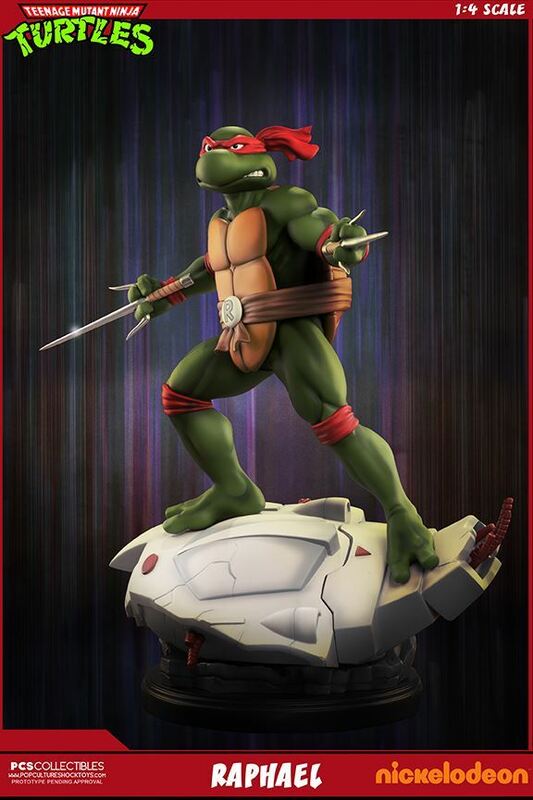 He’s usually the first one to leap into action, and it’s nearly impossible to get him to back down. 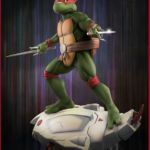 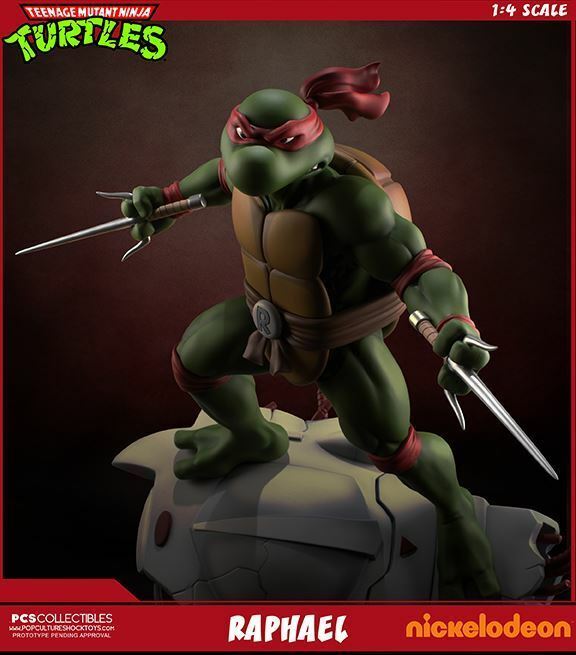 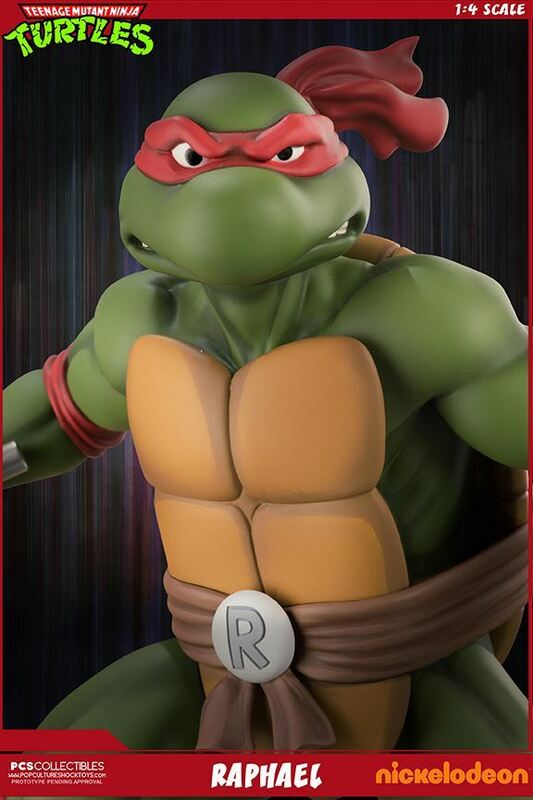 PCS Collectibles is proud to present the Teenage Mutant Ninja Turtles Raphael 1:4 Scale Statue. 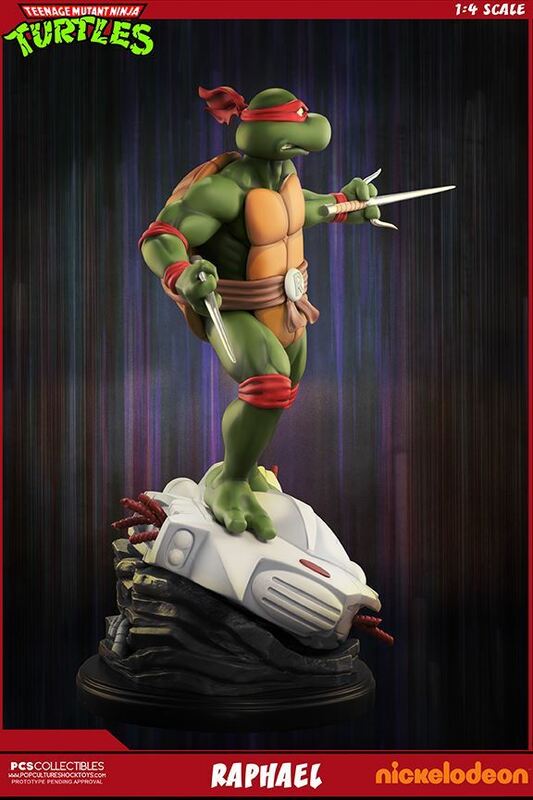 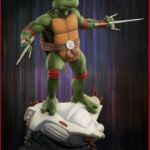 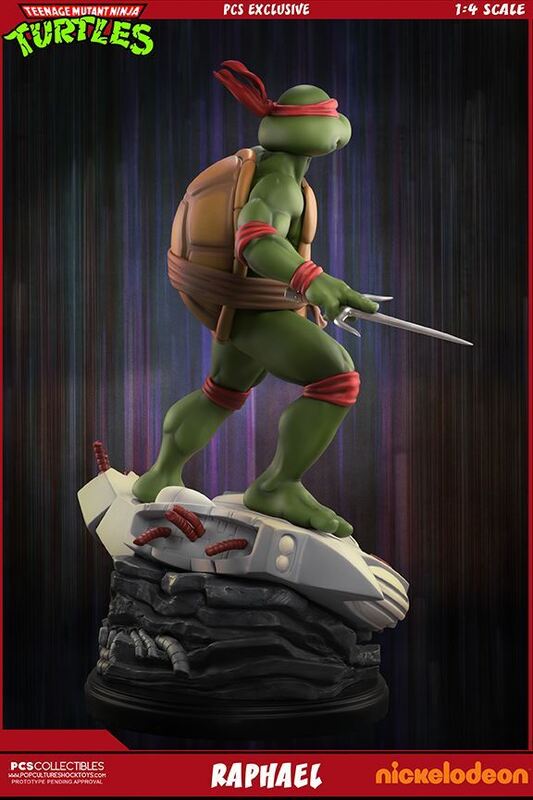 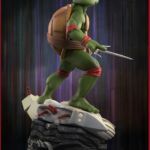 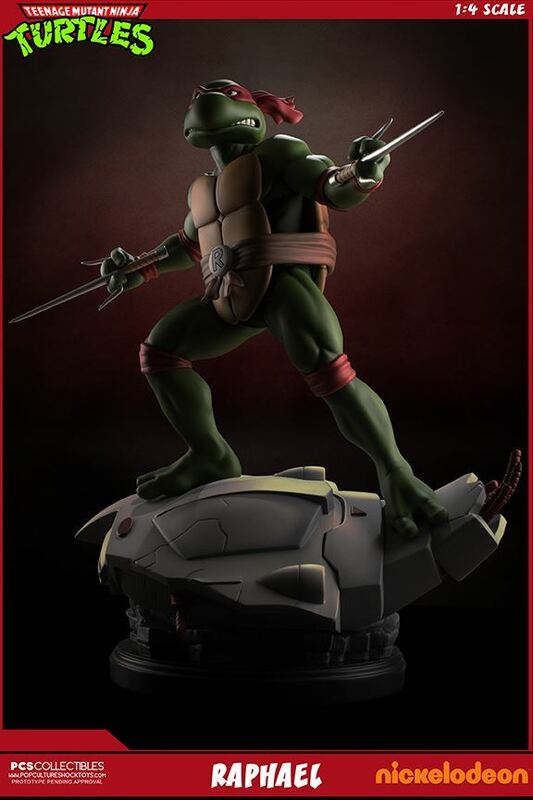 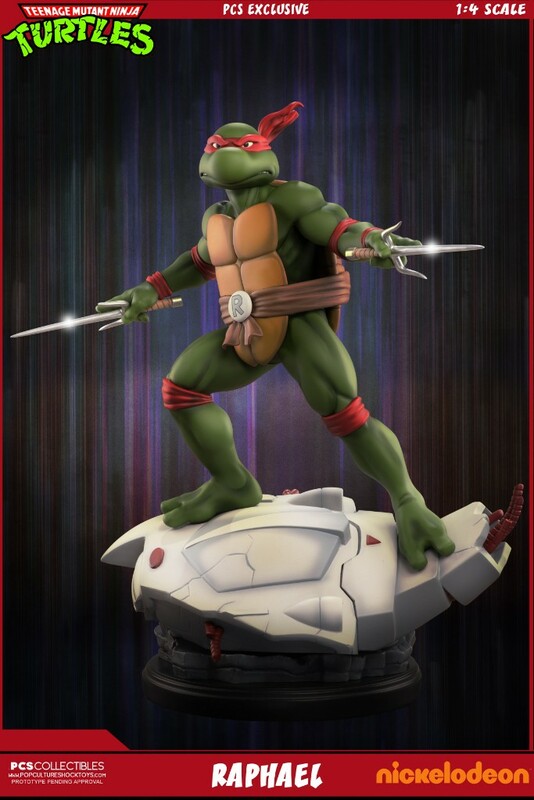 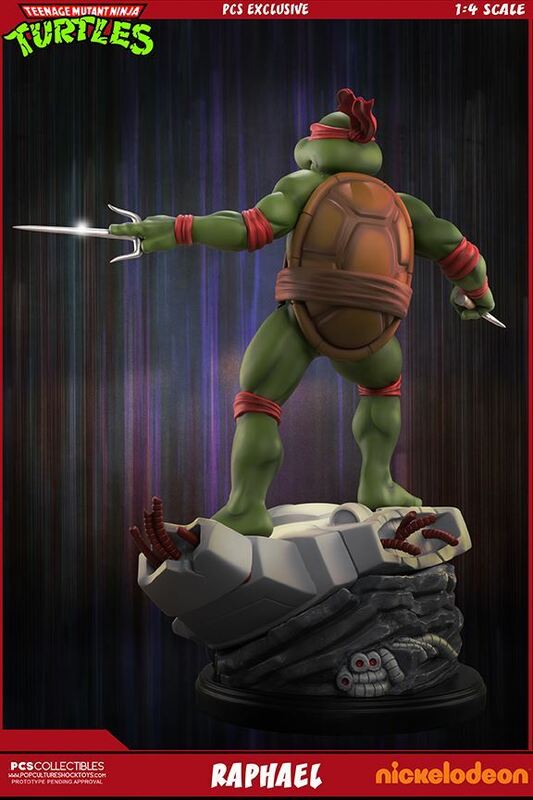 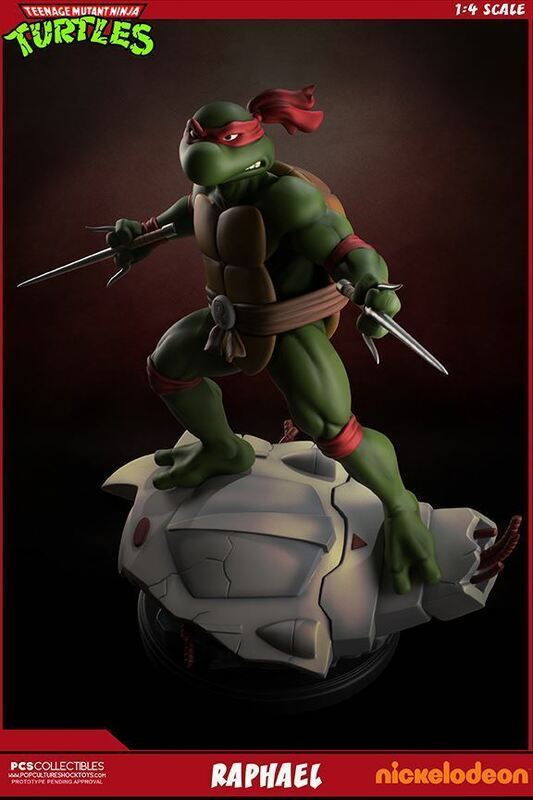 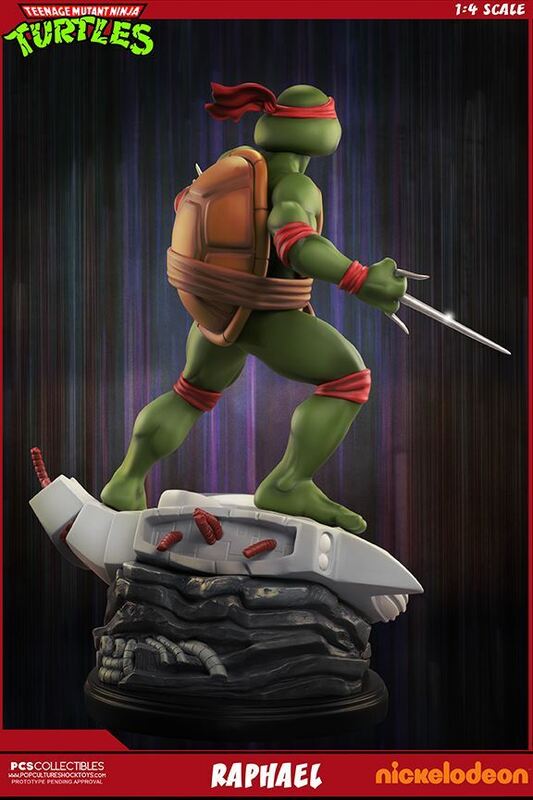 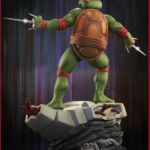 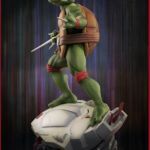 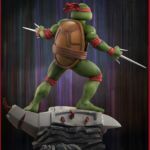 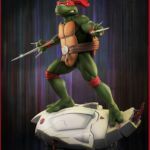 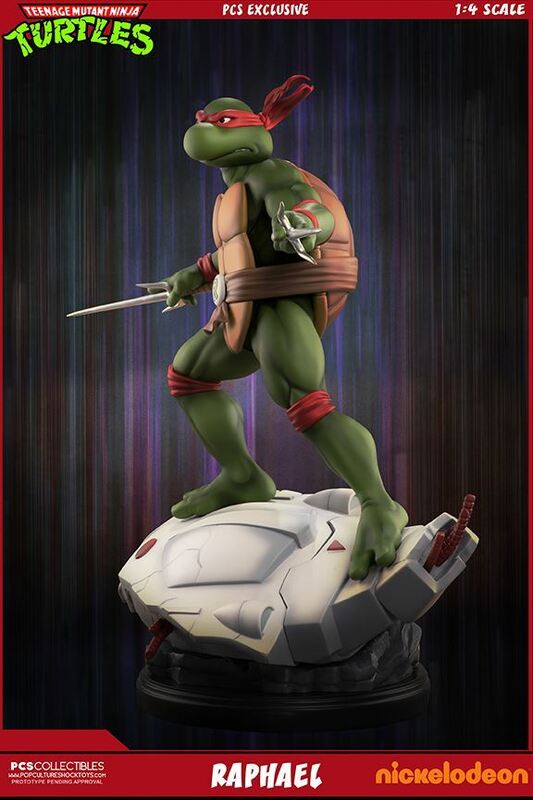 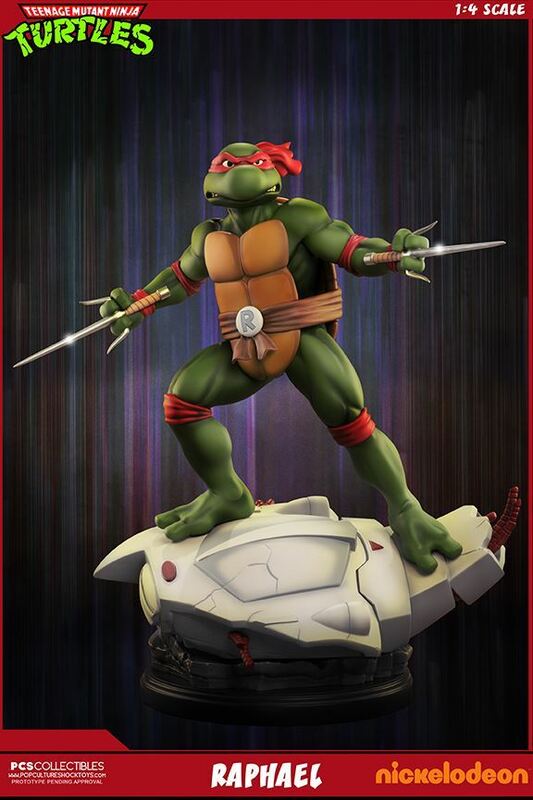 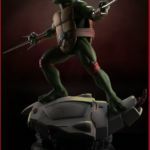 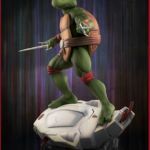 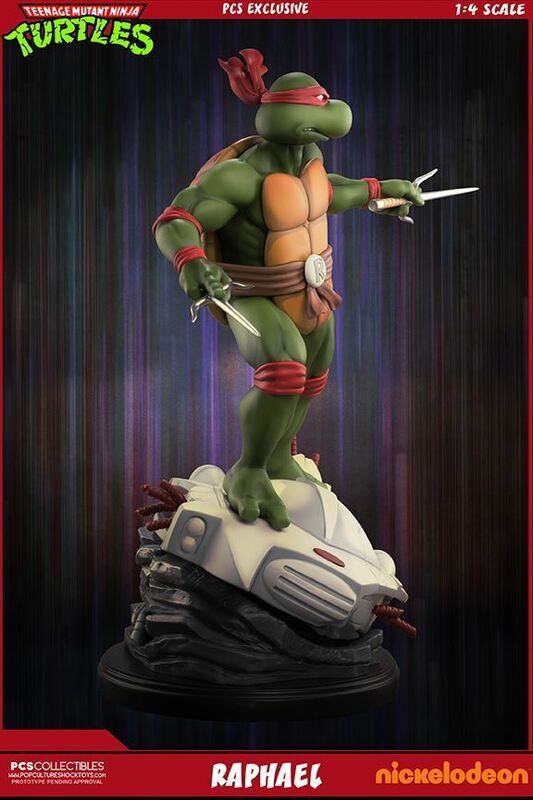 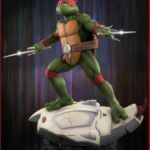 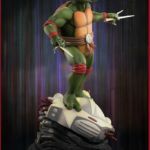 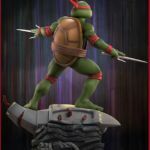 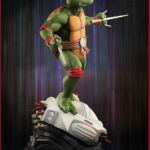 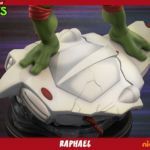 Standing over 21″ tall, this magnificent statue brings the Ninja Turtles’ resident bad boy to vivid life, standing atop the wreckage of a fallen robotic foe, Raphael strikes a menacing pose, poised and ready to take on whatever Shredder and Krang can throw at him! 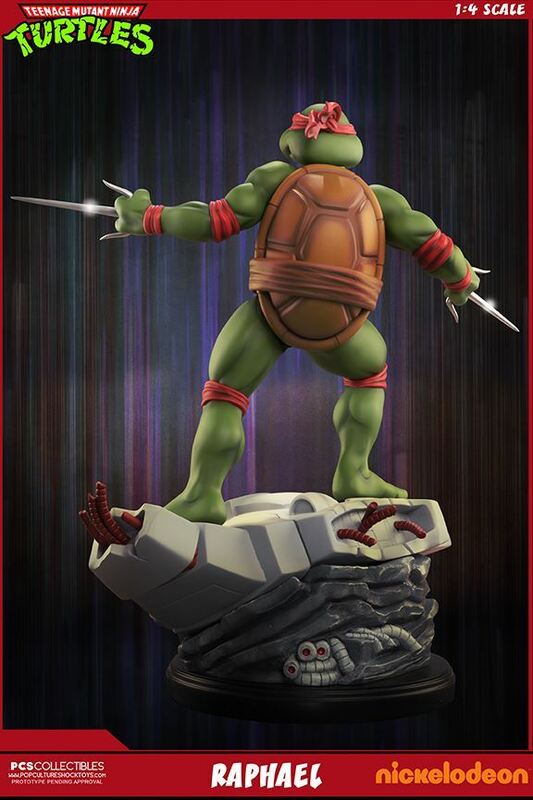 The PCS Exclusive version will include a bonus swap out portrait and one additional pair of swap out hands giving collector’s multiple options when displaying their statue! 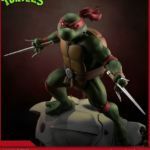 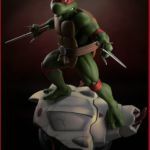 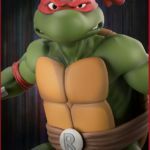 Both versions of the Raphael 1:4 Scale Statue will be individually numbered and come with a Certificate of Authenticity. 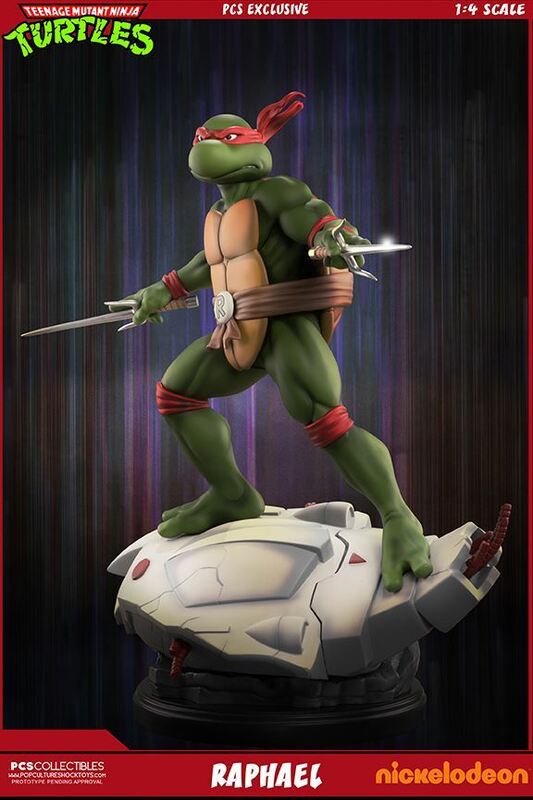 I am quite impressed with this actually. 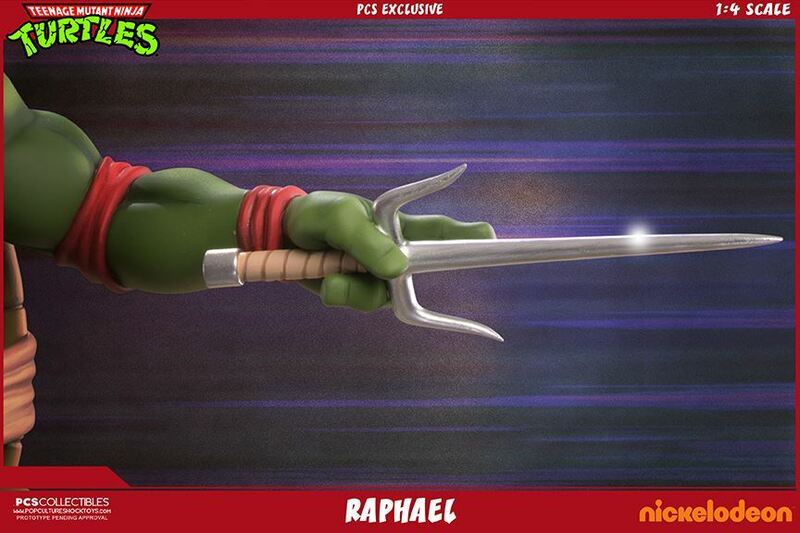 I was afraid they would look goofy like the figuarts figures but this came out nice. 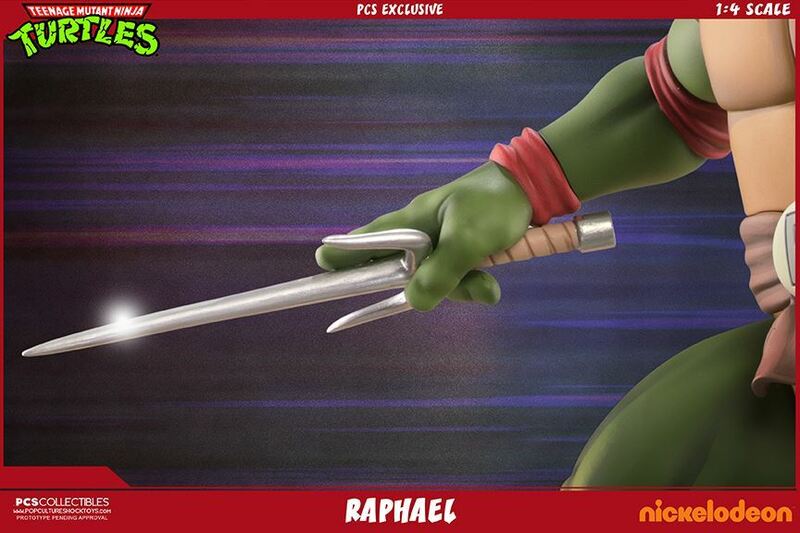 Doesn't look bad. 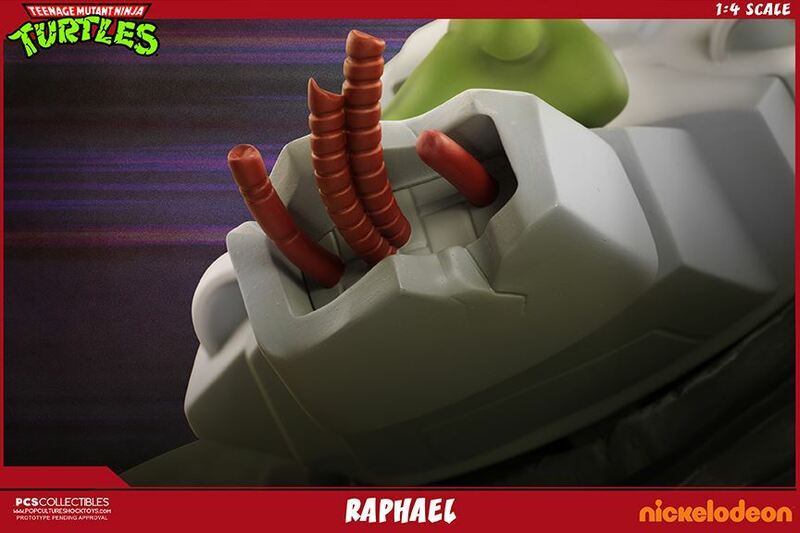 Didn't realize how HUGE they are. 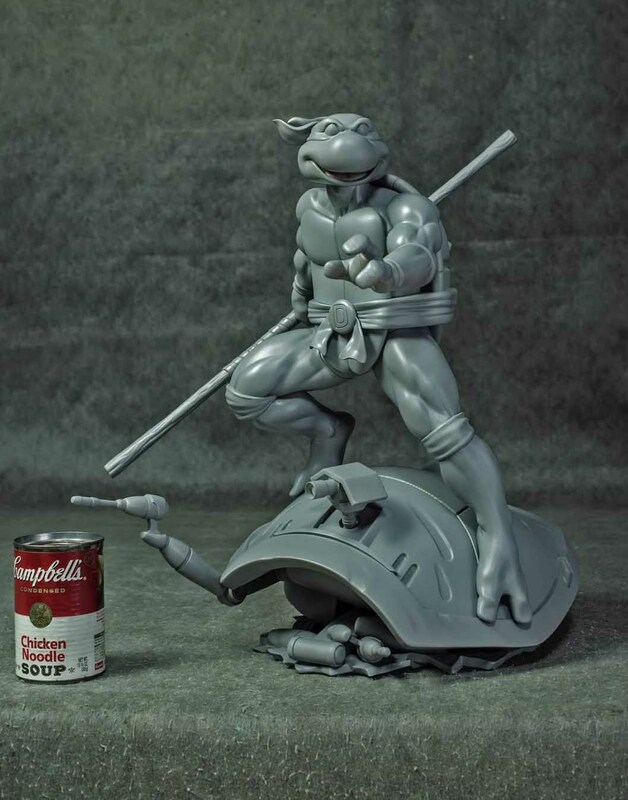 The expression is a little odd for the scene though. 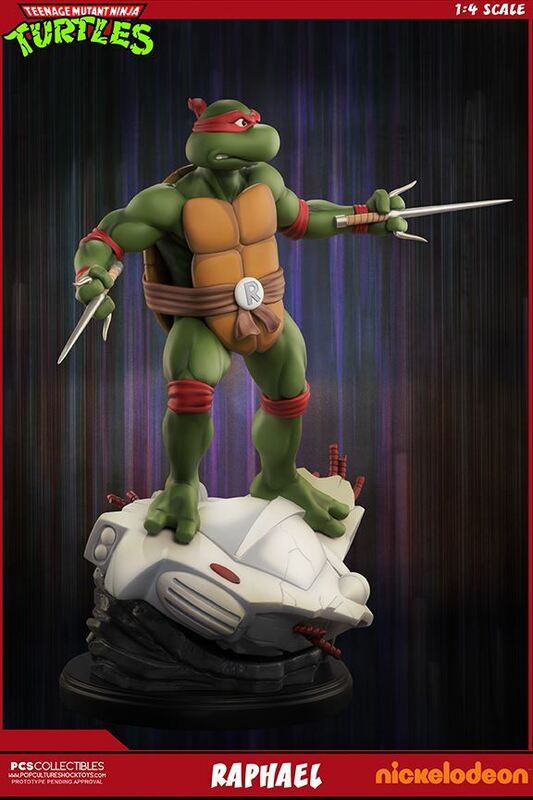 Plus the proportions seem slightly off. 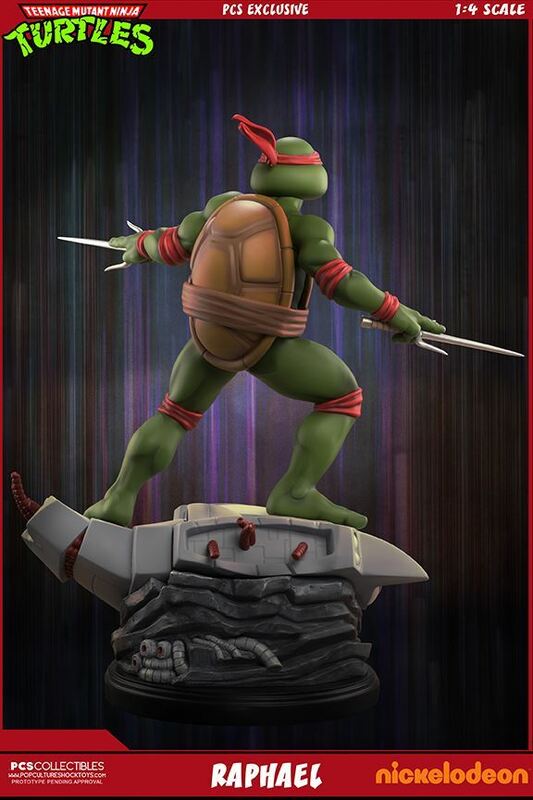 Either way, looks great and I am sure once all 4 are shown they will look great together. 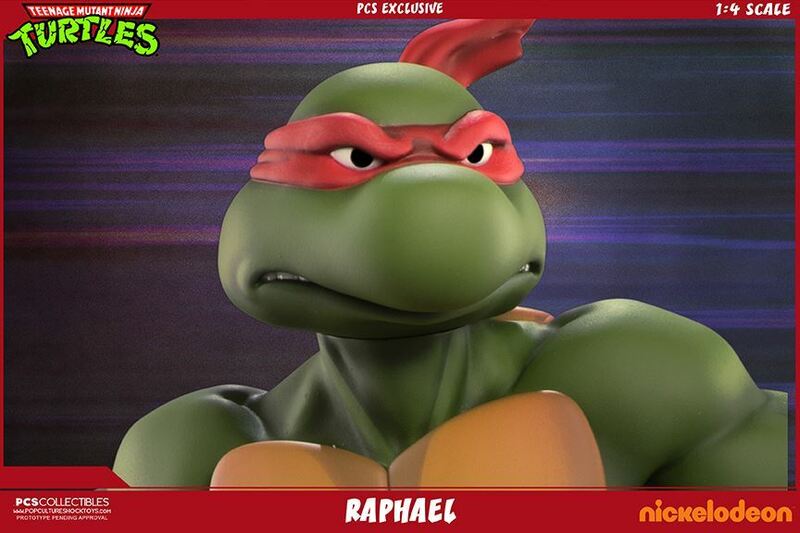 He has a swap out head with angry expression. 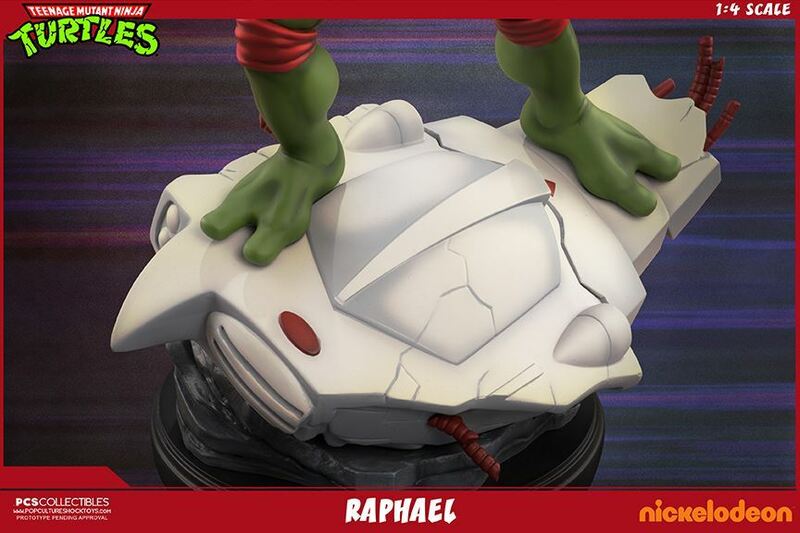 There was a fair bit of feedback that Raph's two heads looked too similar.